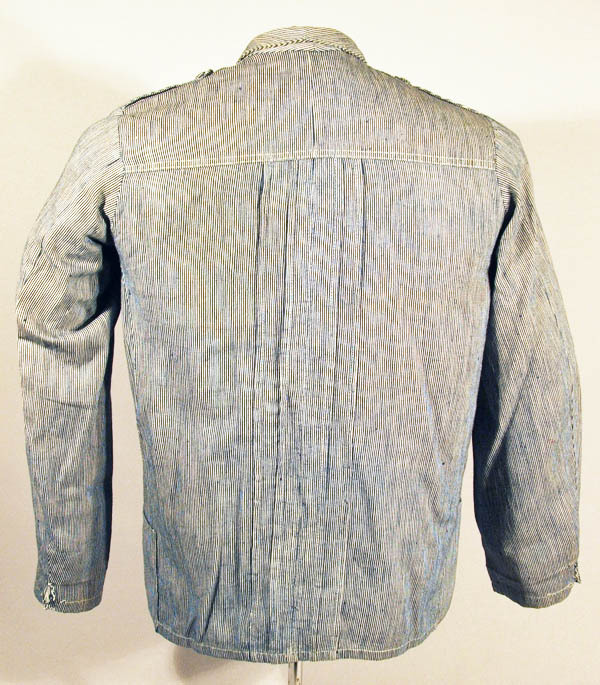 A simple garment, the guayabera had existed in one form or another for many years, being worn as a fatigue or campaign jacket by soldiers of the permanent garrison of Cuba. The name "guayabera" first appeared in reference to a Spanish soldier's garment in 1886 but uniforms with similar features can be seen in photos and illustrations as early as the 1860s. 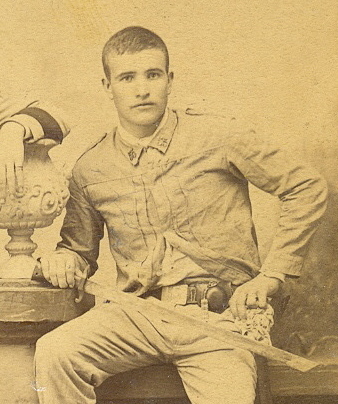 An image of a regular soldier taken in the late 1860s - early 1870s wearing and early version of the guayabera. What this garment was called at the time is open to debate, but camsita or chamarreta mambisa are possible contenders. However, the regulation pattern, like the example shown below, did not appear until 1895 when expeditionary forces arrived from Spain. These troops had been issued one guerrera for service dress and one guayabera for campaign dress. 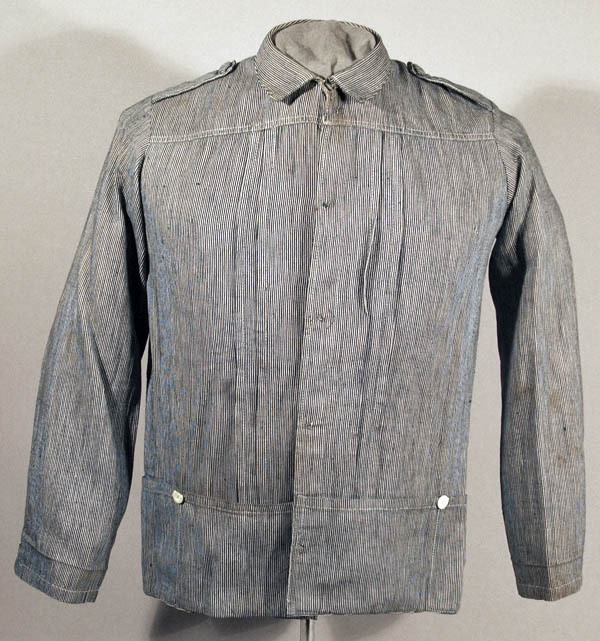 Period photos indicate this style uniform to be the one most often encountered by American troops in Cuba during the Santiago campaign. 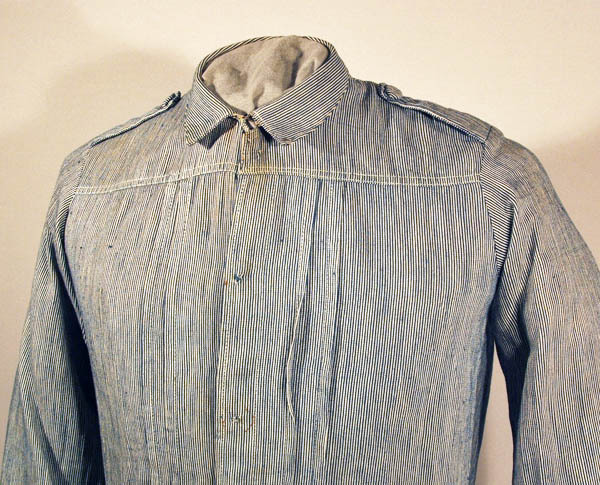 The garment's characteristic features, shoulder yoke construction, pleats down the front and center back and four large cargo pockets on the skirt, made the garment practical and gave it a somewhat jaunty, military air. All the Spanish issued specimens encountered have been made of rayadillo. Most examples have a concealed button fly front. Buttons are generally made of natural colored bone. Shoulder strap and pocket buttons will sometimes be covered in rayadillo cloth. White cotton linings are minimal and are generally confined to the interior yoke area. As the Guayabera was principally a field service uniform, it will seldom be seen with colored cuffs, except for officers who needed them to display their rank. 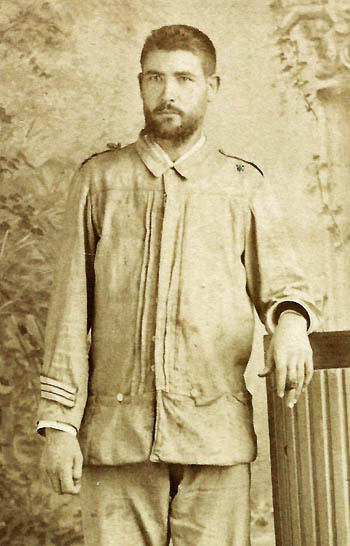 The guayabera was predominately worn by regular army personnel in Cuba and by the soldiers of the 15 Expeditionary Cazadores battalions sent to the Philippines. I have not observed any use of it in Puerto Rico from period sources and would be very interested in hearing of any primary documentation proving its military use on that island. 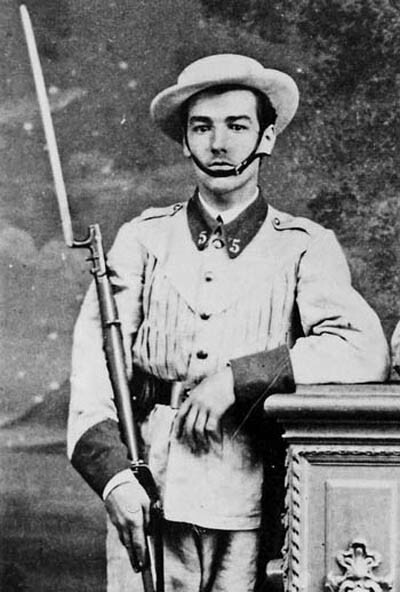 Volunteers seldom wore the regulation guayabera but a few images have been noted showing volunteer officers dressed in locally tailored copies. The Guayabera would later evolve into the Cuban national garment and many Cubans would deny its Spanish military origins. But the fashionable casual dress shirt of Cuban émigrés and cigar lovers everywhere began as the uniform of their enemy. A soldier of Infantería Regimiento "Asia" Nº 55 dressed in a guayabera with his brass unit numbers attached to the collar. 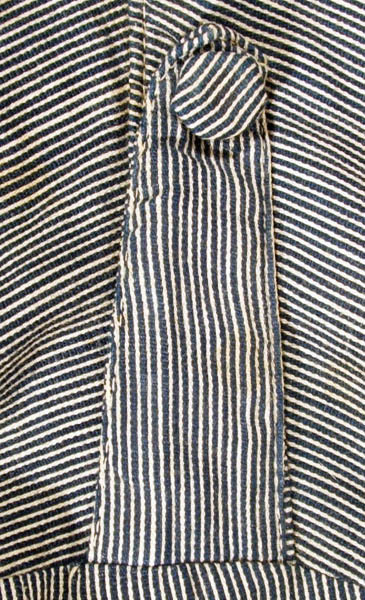 Detail of the upper front showing the collar, yoke and shoulder straps. Reverse view showing the central back pleats. Shoulder Strap detail. Note the cloth covered button. Skirt pockets, two on each side with a decorative bone button at the top of the dividing line of stitching. 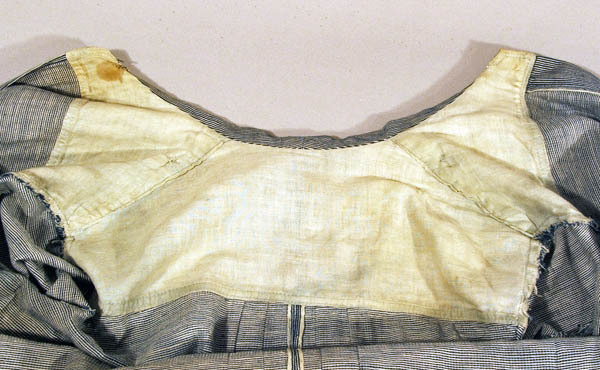 Interior view of the white cotton shoulder lining.